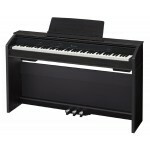 The PX-160 Privia 88-Key Digital Piano from Casio features the new AiR sound source, which provides .. 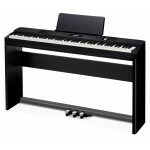 The PX-850 is the flagship digital piano from Casioâ€™s Privia line, with big sound and amazing .. Expressive tones in a compact design. 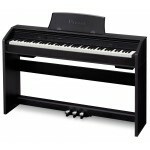 With its expressive timbre, the PRIVIA PX-760 offers piano .. 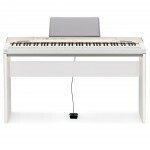 The Privia PX-350 represents a significant step in the continuing evolution of Casio's Privia digi..